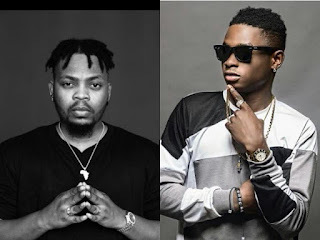 Olamide And Lil Kesh New Song Promoted Ritual Killing - Nigerian React To "Logo Benz"
HomeCelebrityOlamide And Lil Kesh New Song Promoted Ritual Killing - Nigerian React To "Logo Benz"
Nigerian had mixed reactions ever since olamide and lil kesh dropped their latest song Logo Benz. Many were of the opinion that the new song promoted ritual killing and all manner of bad things in the lyrics. So sometime this year, Victor A.D dropped a banger “wetin we gain” and ritual killing increased, boys hustling to buy Benz and live flashy lifestyles, he was called out for promoting Yahoo and rituals, of course he denied it and said it made him feel bad, fast forward to earlier this week, olamide and his boy dropped a song “Logo Benz” and I quote olamide lyrics “Oluwa, if I no get this money o, I go do BLOOD MONEY o”. biko, if blood money is not ritual killing, i wonder what it is then. It is high time, they start jailing some of our musicians for dirty lyrics. Whether you like it or not, those lyrics are storing subconsciously in the head of your unemployed relative, brother, boyfriend, husband and he might decide to use you. Stay safe this Ember month. Kemi Olunloyo who has in the past hinted Olamide a serial ritualist declared his confirmations on Twitter, whatever his reasons for releasing such a song he should have mercied his unborn generation.